Featuring a new author team, this seminal book has been completely updated and significantly expanded. Following an outline of the basic elements of ophthalmic science relevant to study and practice, the authors provide a detailed description and discussion of each condition including aetiology, clinical signs, diagnosis, prognosis, and therapy, as well as a section dedicated to presumed inherited eye disorders. The focus throughout remains on the clinical needs of the practitioner and the student. 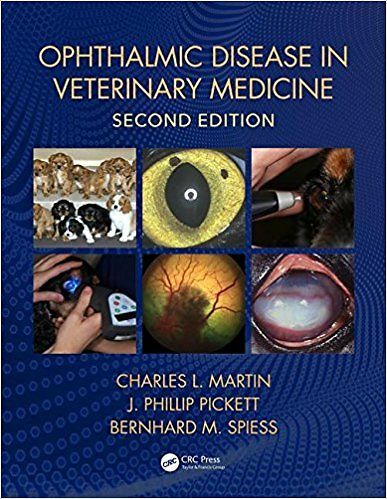 Beautifully illustrated in full color, the book is aimed at trainee and practising veterinarians interested in all types of ophthalmic diseases and disorders. Although the focus is on small animals, there is additional material on the horse and the cow. For this edition, a diverse group of authors from many geographic regions of training and practice offer a breadth of clinical expertise.